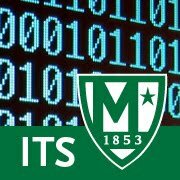 Voicemail -to- email services have been available to the Manhattan College community since the roll-out of the new telephone system in September, 2013 (if you have not yet done so and would like to opt-in to this service please click here) . Once voicemail is forwarded to you Manhattan College email account, you can sort the messages by implementing Gmail filters and/or inbox tabs. This is especially helpful if you receive tens or hundreds of email each week, making it a hassle to search for voicemail messages in your inbox. With Gmail filters you have the ability to copy all voicemail messages to a "Voicemail" folder, making it easy and convenient to find new messages and refer back to them in the future. Click here for step-by-step instructions on setting up a filter for your voicemail messages. Gmail inbox tabs can also be implemented to better organize the flow of incoming messages to your Manhattan College email account. Emails are automatically sorted into various tabs such as "social", "promotions", and "updates", making it easier to find important messages. Voicemail messages can be sorted into a tab such as "updates", along with other messages of the same type. Click here for instructions on implementing and customizing Gmail inbox tabs.